NEW DELHI: Aditya Birla group-led Idea Cellular has posted consolidated profit after tax of Rs 764.21 crore for the quarter ended December 31, 2015 which was down by 0.5 per cent over the comparable quarter last year. Similarly, mobile network operator had reported a net profit after taxes (PAT) at Rs 767.06 crore for the third quarter ended December 31, 2014. Interestingly, company’s total income grew by 10.9% at Rs. 9,040.5 crore for the quarter against Rs.8, 150.1 crore in the corresponding quarter of the previous year. On a standalone basis, country’s third operator has posted a net profit of Rs. 642.6 crore for the quarter ended December 31, 2015 as compared to Rs. 665.4 crore for the quarter ended December 31, 2014. Telco’s total Income has increased from Rs. 8,070.8 crore for the quarter ended December 31, 2014 to Rs. 8,988.7 crore for the quarter ended December 31, 2015. “In contrast to higher subscriber market size, estimated Industry revenue growth in the first nine months of FY16 vs FY15 is trending to as low as 5.5% – 6.5% against 10.9% growth in the same period previous year,” said the company while filing to BSE (Bombay Stock Exchange). “This lower revenue growth is primarily due to fall in Voice Realised rate led by reduction in TRAI regulated Mobile incoming IUC charge settlement rate from earlier 20p to 14p/min effective from March 01, 2015, lowering of cap for national roaming call & SMS charges effective from May 01, 2015, and intense pressure on Mobile data realised rate, as wireless broadband consumer demand growth is slower than increased supply from operators launching/expanding 3G/4G footprints,” it said. 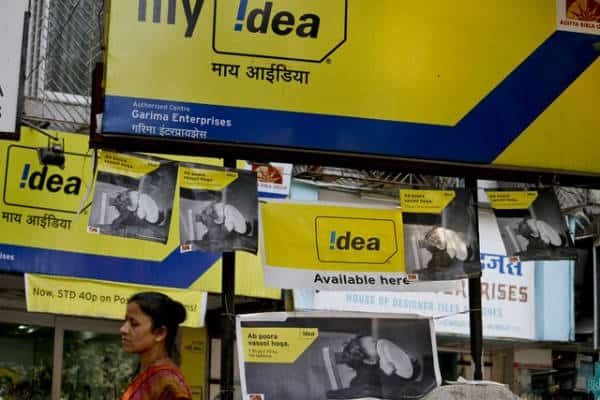 “In comparison, Idea’s long term business trends remain robust as standalone revenue for the quarter has grown by 12.4% (16.4% post normalization of IUC settlement change) to Rs. 90,089 million against Rs. 80,148 million in Q3FY15,” a statement said. “The factors driving revenue growth were volume led including YoY expansion of a) Voice Minutes @ 16.7% to 199.2 billion minutes and b) Mobile Data (2G+3G+4G) @ 75.8% to 81.0 billion MB, in Q3FY16. However, YoY decline in Voice Realised rate @ 10.6% (Including IUC impact) and Mobile Data Realised rate @17.2%, depressed overall gross revenue growth,” the company said. “During calendar year 2015, Idea supported its consumer centricity vision by integrating highest ever 32,385 (2G+3G+4G) cell sites, expanding Idea 2G services population coverage to nearly 974 million Indians and wireless broadband 3G and 4G services footprint to cover 340 million Indian population, while its fibre network expanded beyond 105,000 KMs, helping the company to gear itself for next wave of mobile internet revolution. The capex spend in Q3FY16 of Rs. 23,135 million was financed by Cash Profit of Rs. 23,493 million for the quarter,” it added. “The standalone quarterly EBITDA of Rs. 28,513 million grew annually by 14.7% (Rs. 24,860 million in Q3FY15) at 31.6% margin, an improvement of 0.6% over Q3FY15,” a statement said. During December 2015, the expired 900 MHz spectrum (1995-2015 licenses) for 7 established service areas was replaced with New 900 MHz liberalised spectrum won in March 2015 spectrum auction (spectrum in remaining two service areas of Karnataka and Punjab would be replaced with new 900 MHz liberalised spectrum in April 2016). In the month of December Idea launched its own 3G services in the 13th circle of Kolkata metro service area, extending own 3G spectrum coverage to 79% of Idea revenue base. Also, in the same month, company launched its 4G services in four south Indian telecom service areas. Consequently, the ‘Depreciation & Amortisation’ charge of Rs. 15,206 million and ‘Interest & Finance Cost (net)’ of Rs. 3,175 million include additional charges related to above new spectrum from date of shift/launch. “Idea standalone ‘Profit after Tax’ stands at Rs. 6,614 million against Rs. 6,783 million in Q3FY15. The Net Debt now at Rs. 376.9 billion, includes almost all Deferred Payment Liability from past spectrum auctions, including March 2015 auction. The Net Debt to annualised Q3FY16 EBITDA stands at 3.30,” a statement said. The Net mobile data customer base (2G+3G+4G) has remained flat at 41.4 million (41.3 million in Q2FY16) as company tightened its Data Subscriber reporting. The higher Mobile data usage per data customer @ 653 MB (470 MB in Q3FY15) helped improve blended mobile data ARPU to Rs. 145 in Q3FY16 (vs Rs. 126 in Q3FY15). The Non Voice Revenue contribution improved to 28.1% this quarter against 23.1% a year earlier. Over the last one year, the 3G data subscriber base for the company has increased by 8.2 million to 21.2 million in Q3FY16, still at a low penetration of 12.3% on EoP subscribers, while in comparison 55.5 million (annual increase of 27.3 million) of Idea’s strong 172 million subscriber base has upgraded their phones to 3G/4G smartphone/devices. The Data ARPU of a 3G Data customer is at a healthy level of Rs. 196 during Q3FY16, in addition to customer spend on Voice and Non data VAS. On December 23, 2015, the company announced the next important historic step in Idea’s telecom journey with launch of its High Speed 4G network across four south Indian service areas of Andhra Pradesh (incl. Telangana), Karnataka, Kerala and Tamil Nadu. Idea, further, on January 14, 2016 has extended its 4G services to telecom circles of Madhya Pradesh & Chhattisgarh, Punjab and Haryana, now covering 183 towns across 7 circles for high speed LTE services. Idea currently holds 1800 MHz 4G spectrum in 10 telecom circles which covers 50% of Indian telecom market but over 60% of Idea’s Revenue. The company is poised to launch its 4G services in remaining 3 telecom service areas of Maharashtra & Goa, Orissa and North East by March 2016 and plans to extend 4G footprint to over 750 Towns by June 2016. Idea’s own 3G and /or 4G wireless broadband spectrum covers 87% of its revenue base. Additionally, Idea has recently signed an agreement with Videocon Telecommunications Limited for transfer of ‘ Right to Use’ 1800 MHz spectrum in two of Idea’s key telecom leadership markets of Gujarat and Uttar Pradesh (West). Post completion of this transaction, Idea 4G services will be extended to 12 service areas covering 75% of Idea’s revenue base. To augment the usage of mobile data services, the company has recently announced launch of Idea Digital Content Services with attractive subscription plans in partnership with leading content providers including latest and wide range of content for Music, Movies and Gaming etc. “At consolidated level including 16% of Indus contribution, Idea gross revenue in Q3FY16 has grown by 12.4% YoY to Rs. 90,097 million, the EBITDA at Rs. 31,285 million grew by 13.7%, EBITDA margin improved by 0.4% to 34.7% and this quarter PAT stands at Rs. 7,642 million,” it concluded. Idea Cellular Q3 net profit dips 0.4 per cent to Rs. 764 crore 0 out of 5 based on 0 ratings. 0 user reviews.